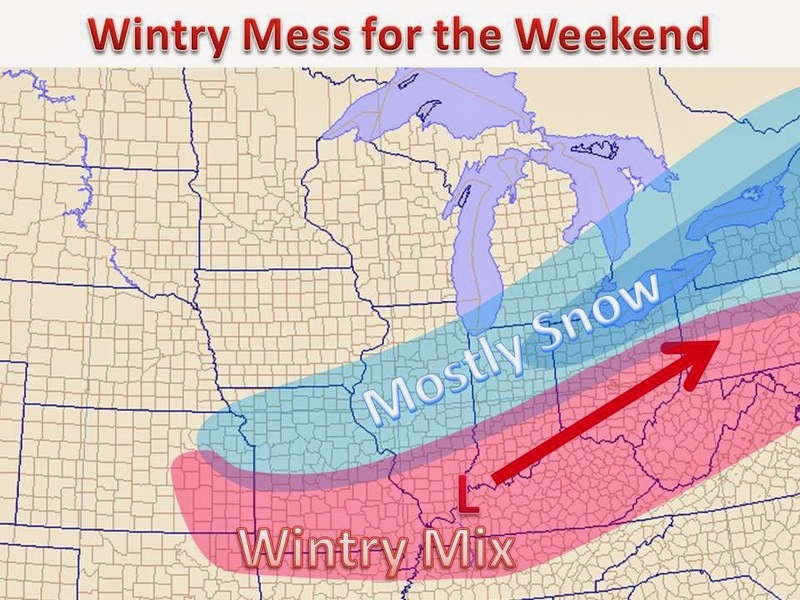 It looks to be a bit of a mess for the weekend in some of the same areas. While we are historically cold in some area, much of this system looks to be on the warmer side of things. A few inches of snow are possible on the back side, with 3-5" possible as the system reaches Ohio. On the warm size, widespread sleet and freezing rain will likely cause travel issues, before kicking over to rain as more warm air is pulled into the center of the storm.